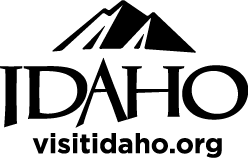 Education, Healthcare and the Economy in Idaho Several candidates for the Idaho and U.S. legislatures will participate in a moderated discussion on the relationship between education, healthcare, and the economy in Idaho. This insightful conversation will explore how we can improve the livelihood of all Idahoans by pursuing policies that reflect the integrated nature of these issues. Time will be allotted for audience questions. Confirmed Participants: Cristina McNeil, candidate for U.S. House (D1) David Nelson, candidate for Idaho Senate (LD5) Rebecca Schroeder, candidate for Idaho House (LD4A) Laurene Sorensen, candidate for Idaho House (LD5B) Dr. Leontina Hormel, associate professor of sociology, University of Idaho Tim Faust, healthcare activist.